Dolphin Watching — spend the whole morning just outside Puerto Princesa Bay to witness Grays Spinner dolphins at play. 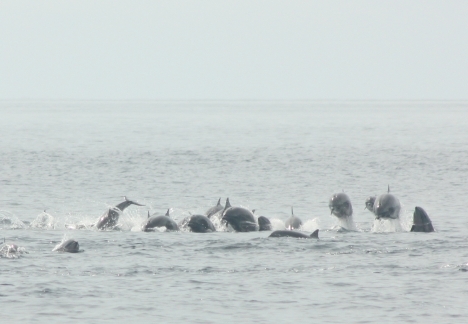 These lovely and very intelligent cetaceans abound in the bay because it is safe from the intrusion of illegal fishers. 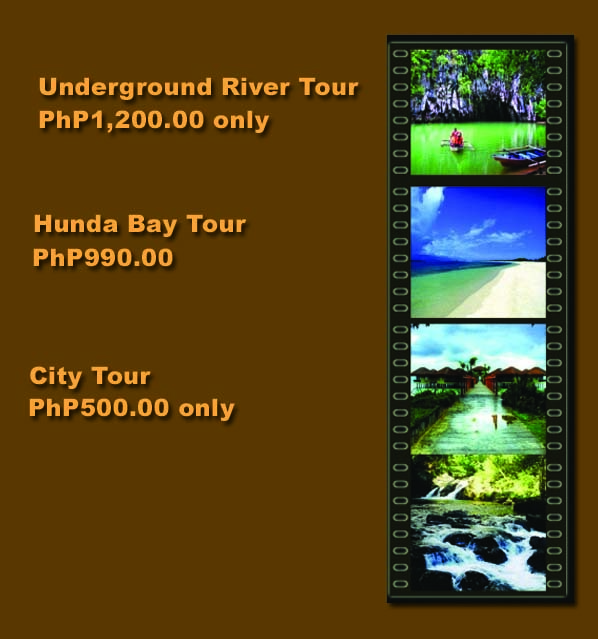 A tour can cost PhP600.00-PhP900.00 only. 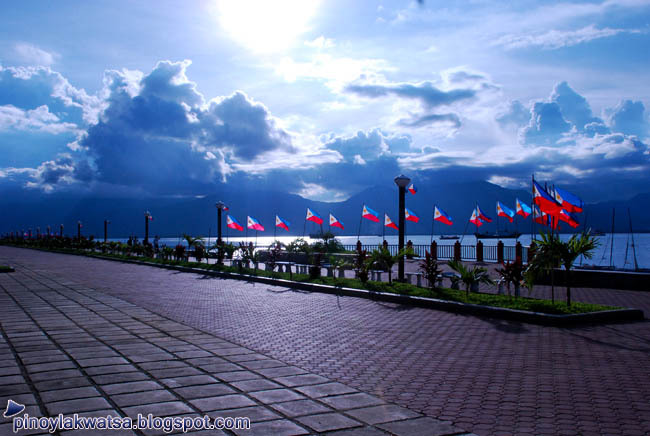 Jump off point is the Puerto Princesa Baywalk. 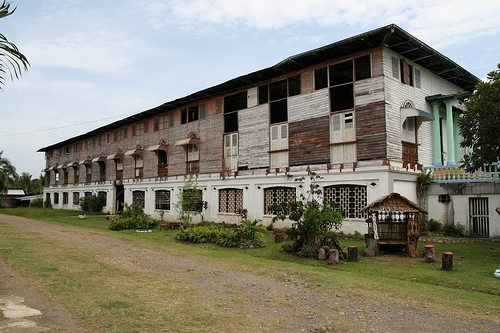 When former House speaker Ramon V. Mitra, Jr. run for president, many thought this would become the Malacañang of Palawan. Why not? 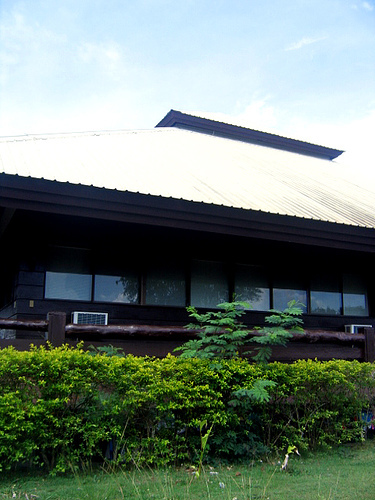 It’s beautifully situated on top of a hill in Barangay Sta. 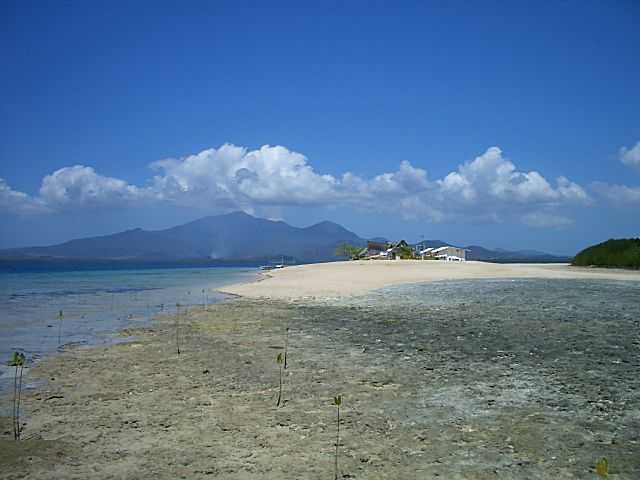 Monica, and overlooks two bays: Puerto Princesa Bay and Honda Bay. Sunrise is particularly good here; one just have to be patient to wait as it comes up in the horizon. 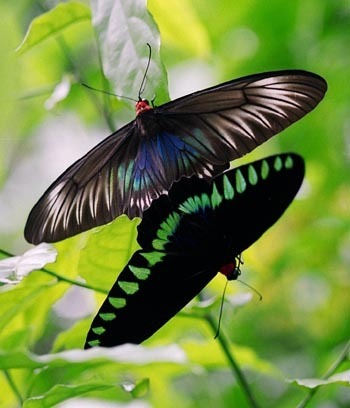 The place does not require entrance fees to welcome visitors. House Rep. Abraham Kahlil B. Mitra just requests that they keep its environment free. 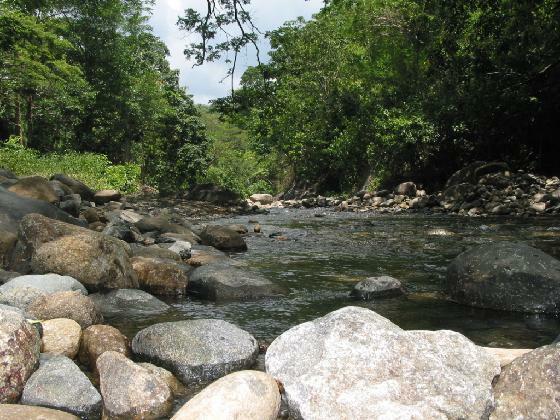 This river is one of the best cooling places in Puerto Princesa during the summer. For an entrance fee of PhP10.00-PhP15.00, you can take a dip in a wonderfully man-made pool surrounded by canopies of trees that are perfect sunshades. 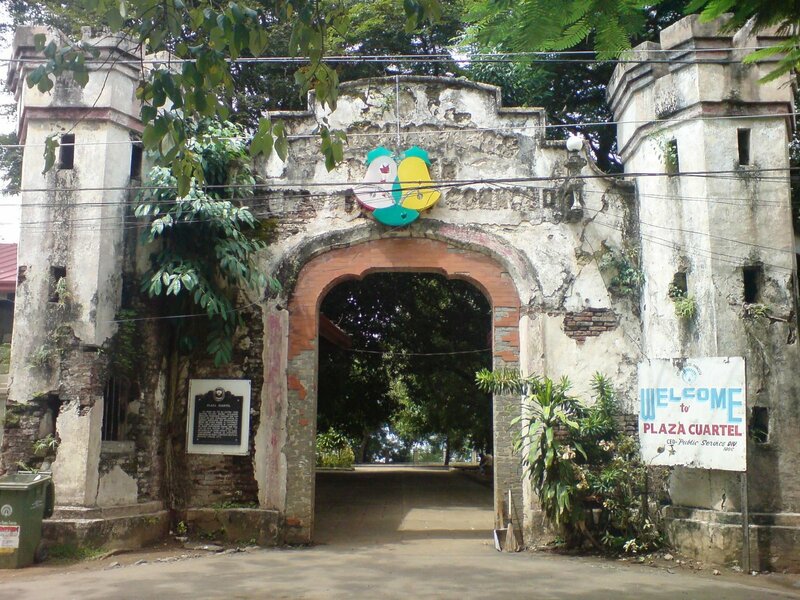 The site where the Immaculate Conception Cathedral is located is old Puerto Princesa. It used to be a hill flattened by the Spaniards when they came to the city. 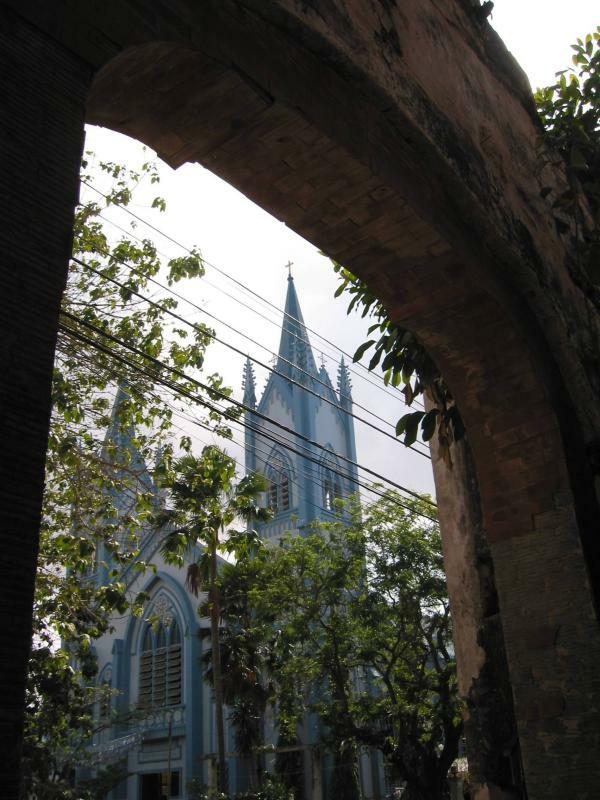 The church is adjacent historical Plaza Cuartel. Our Lady of Immaculate Conception is the patron of Puerto Princesa. As such, the church’s exterior is done in blue and white. I don’t know but for some reason, its architecture reminds me of Manila’s San Sebastian Church. I attended the English anticipated mass at 5:30pm on Saturday. The place used to be a squatter’s area a few years ago. 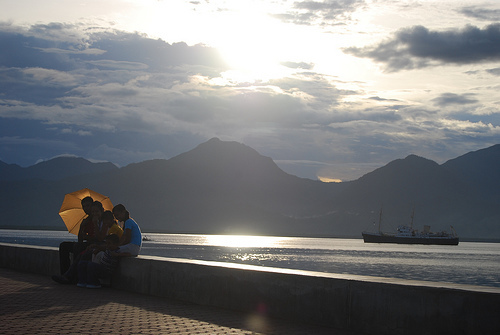 Now, it has been turned into a lovely baywalk, where people enjoy morning walks and a good sunset in the afternoon.